It is the oldest PR trick in the book for times of trouble: blame the communication, not the problem. And it can usually be smelled a mile away. Facebook COO Sheryl Sandberg’s recent attempt to dismiss the social network’s controversial psychological experiment into its users’ moods as ‘poorly communicated’ is a ready example. You’d probably not guess from these statements that Facebook had not garnered the consent of users. Which is unethical and possibly illegal in some markets. The social network is now being investigated in several jurisdictions for potential abuse of data privacy. Was Facebook really unaware of its actions? After all, the study was conducted by professional researchers. It seems unlikely, even if there was apparently little formal oversight of the social network’s data science team. So it tried to spin its way out of trouble, blaming the description and communication of the study rather than its nature. In today’s ultra-transparent environment, the truth will out. Facebook should know this more than most. After all, it is a key protagonist of this open, borderless world. It should practice what it preaches. You only need the length of the taxi ride from Singapore’s Changi airport to the city centre to appreciate that this is an uncommonly well-run place. Neat, tidy and superbly organised, even the trees lining the road into town seem to blossom year-round. All of which rather jars with a story dominating my mobile news-stream on my return to the airport about the New York Police Department’s latest foray into social media. An attempt to crowd-source feel-good photos for its Facebook page using the #MyNYPD hashtag, it has backfired spectacularly in a manner all too reminiscent of JP Morgan’s #AskJPM or British Gas’ #AskBG fiascos. I visit New York infrequently and can’t recount having any encounters with its police force, let alone negative ones. Yet the NYPD clearly evokes some pretty raw emotions, something it was presumably aware of before orchestrating the campaign. They will certainly be on its mind now. Framing conversations properly is one of many challenges facing governments and authorities in social media, yet Facebook et al also provide unparalleled opportunities to inform citizens and build their trust, the subject of a talk I gave to a roomful of government officials at a Community Engagement Conference yesterday in Singapore. My basic premise: in an environment in which public trust with government is low in many countries and citizens are hugely empowered, public authorities must understand the broader context of their activities and work hard to find ways of involving online audiences in their communication, as opposed to approaching social media as an informational one-way street. I had also been expressly asked to cover the pitfalls of engaging online, something the powers that be in Singapore are conscious of, perhaps to a fault. And which the NYPD now finds itself having to consider in rather more depth. What’s the right social media strategy? Listen to a marketer and he will tell you the best use of social media is for marketing and promotions. Talk to a sales rep and she will say Facebook should be used to sell products. A brand expert will say the best fit for social media is brand-building. A public relations guy will say it should be all about influence and a crisis expert will say crisis management. What is the ‘right’ approach to social media? In today’s saturated communications environment, audiences routinely ignore companies that fail to cut through the clutter – a challenge for many firms, not least those saddled with undifferentiated products and services that people are unlikely to talk about or those expected to deliver a good basic level of service and little more (eg. utilities). And there remain many examples – many too many – of firms self-combusting on the social web, often as a result of approaching social in the wrong way. Here are some slides (presented last week at conferences in Singapore and Hong Kong) that set out a simple five-step process for developing an effective social media strategy that puts reputation building and protection at its centre. All fairly standard complaints, yet many organisations, conscious that bad experiences and reviews travel much further and faster than positive ones on the Internet, remain unsure how to handle negative online discussions. Some – too many – choose to bury their heads in their hands and hope the problem will somehow disappear. For others, not least in Asia, the prospect of losing face remains a deterrent from engaging in social media, or at least in any meaningful form. For the majority, the issue is more structural – siloed teams having to deal with questions and complaints that they don’t understand or over which they have no responsibility, thereby making their response, or lack of it, appear unresponsive, uncaring, even evasive. Whether it is called customer service, community management, online reputation management or issues management, the ability to identify and contain negative discussions before they escalate is a critical skill that all organizations and all elements of the social media front line need to learn. Before working out how to respond to online complaints, it is first essential for companies to have a systematic approach to assessing which negative posts or discussions they should prioritise and respond to. Some useful process maps have been developed to help companies, trade associations and governments work out which types of posts to respond to and how to do so. However, these response guides typically fail to point out the importance of the broader context of these discussions, and how or why they may be escalating. Topics: Some topics resonate more loudly than others, though this will vary by organization depending on the nature of the issue. Product complaints should be taken seriously, yet allegations of tampering or contamination are potentially much more damaging than poor packaging and can impact both the corporate and product brand. The extent to which a negative post may escalate should also be considered in relation to the broader reputation of the firm beyond product quality and customer care. If you are an energy or pharmaceuticals company, or increasingly in FCMG or retail, you are more likely to suffer at the hands of customers and other stakeholders than if you are a manufacturer of widgets. Influence. If the complaint comes from a recognized top tier blogger (let alone one of your employees), then it is essential that the post is evaluated carefully. In other cases, the number of followers and readers of an individual’s online presence, or their Klout or Kred scores (less useful in North Asia), can reveal their online influence. In addition, you will want to consider what category – eg. activist, customer and recognized industry expert – they fit into and a low, medium or high score assigned accordingly. Virality. Certain types of content tend to move quicker than others through the blogosphere, particularly video and graphical content, which have the ability to prove a point (eg. unlocking ‘unbreakable’ Kryptonite locks) or dramatise an issue. 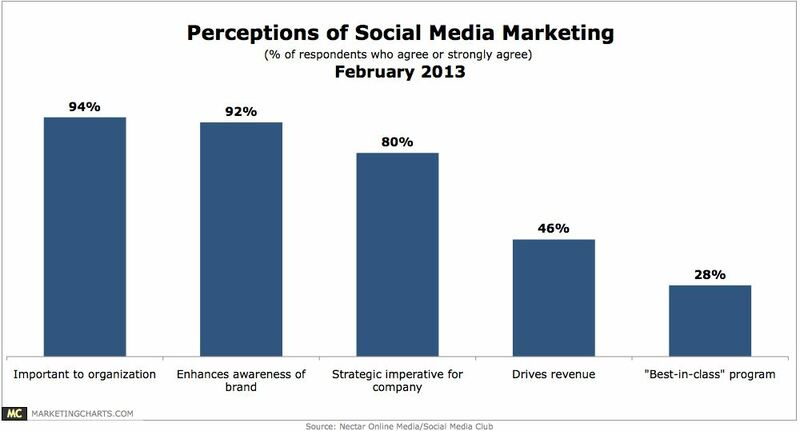 And the more engaging the content, the more likely it is to be seen and shared. Location. Most attention on negative posts focuses on top influencers and owned social media channels such as Facebook pages or corporate Twitter streams, and research [registration] shows that customers on an organization’s page expect it to respond to their questions. However, the continued popularity of online discussion boards across Asia, the ability of their users’ to remain anonymous and the relative lack of investment in owned channels means that companies must also keep a careful eye on third-party channels. In my experience, many online issues in Asia start on forums/BBS. Language. Before Google Translate, you could pretty well rest assured that complaints in Japanese or Korean would not spread to other languages. This is no longer such a safe bet. Conversely, it remains true that if a negative post is in English, it is more likely to travel across channels, communities and cultures. Speed. The speed at which a complaint is circulating is also important, though this is typically an outcome of the topic and nature of the complaint, who’s made the complaint or is talking about it, its virality, location and language. If the post has shifted from your own social media channel or industry discussion board to Twitter or Sina Weibo and is being re-tweeted, then it may require internal escalation. Assessing negative conversations requires regular listening to and managing of online discussions, a good understanding of the kinds of issues that may cause your organisation problems, and close relationships with the myriad internal and external stakeholders who may be impacted by online discussions. Above all, it calls for a cool head and good judgement.